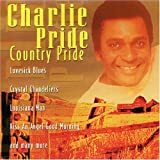 Charley Frank Pride (born March 18, 1934) is an American country music singer, musician/guitarist, recording artist, performer, business owner, and former baseball player. His greatest musical success came in the early to mid-1970s, when he became the best-selling performer for RCA Records since Elvis Presley. During the peak years of his recording career (1966–87), he garnered 52 top-10 hits on the Billboard Hot Country Songs chart, 40 of which made it to Number One. He has appeared with country music star Brad Paisley and was featured in the 2016 CMA Awards. "Songs of Pride... Charley That Is"